Balcombe Estate Sawmill is a renowned supplier of logs in Sussex. Perfect as kindling firewood and ready to use straight away, our logs are cut from hardwood cordwoodand and maybe a mix of ash, oak , silverbirch, alder or beech, which has been seasoned for a minimum of one year. If you’re interested in buying logs from us, don’t hesitate to contact us today by calling 01444 811 446 for a quote. 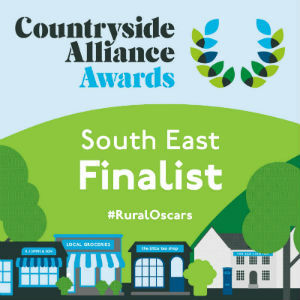 We offer free local to delivery to Balcombe, Haywards Heath, Ardingly and Lindfield, but we may have to change on deliveries further afield. Alternatively, it’s also possible for you to collect loose boot loads (½ cubic metre cage) for £50 or a large net sack for £7. If you have specific needs or quantities that you would like supplied, we are always happy to provide – just talk to us about what can offer you. The logs that we supply are cut to approximately 10” as a standard size. However, if you have specific requirements we are able to cut your logs to order – please note that a small charge may apply. Just fill in the form and we will get back to you as soon as possible with a quote. To ensure that you get the most out of your logs we recommend that you purchase them 1 year in advance or during the spring or summer. You should also store them slightly off the ground – an old pallet will do – and cover the wood to the rain from seeping in and dampening them. We also happily supply the materials to build a log store, if you would prefer. If you’re looking for hardwood logs, West Sussex has the perfect supplier in Balcombe Estate Sawmill. 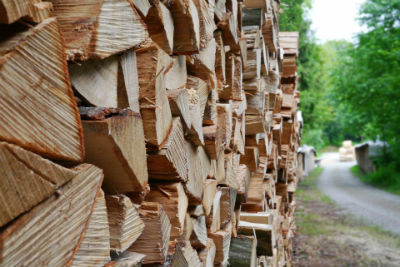 We are happy to provide all of the firewood and logs that you need.